In our current day, time and socially challenged environment, there are placed in front of each of us MANY things that we could choose to worry over or about. It could even be said that you and I could be “obsessing” about it, which might more accurately describe what we are seeing played out before our very eyes in the time which we live. As Christians, we have clear and understanding answers that are preserved for us in the Holy Writ – God’s History Book for the ages – the Bible of the Living God. 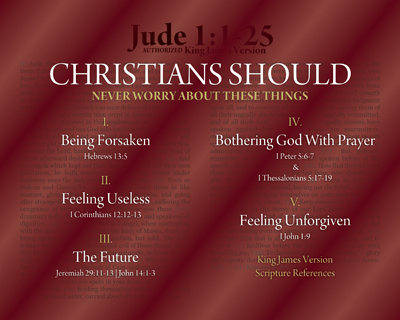 Notice the super title given for this Series: CHRISTIANS SHOULD, followed by the name of the Series: Never Worry About These Things. The world “should” is the word that needs to be focused upon such that each of us might understand meaning of it being there instead of another more “common” word. We’ve at one time or another probably heard someone say something similar to “awe, don’t worry about it”, but that doesn’t keep us from doing so. The word “should” is the key to it all, which for many people who are struggling with a myriad of challenges in their own lives, may not take the time to realize and understand. This Series, as all of the others are, is written to folks who know what a challenge is, having had them ever so real in their own lives. A few of those challenges can run very deep, which in turn can alter our reliance on God’s Word at the very time we need to consider the direction it can provide in our lives most heavily. 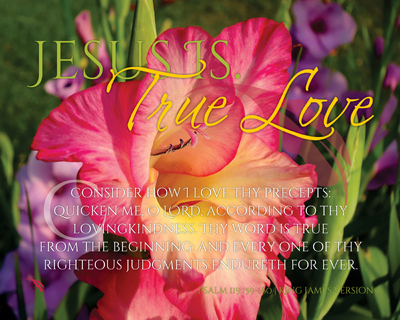 Including the Theme Print above, there are eight (8) in this Series which will help us be reminded of how wonderful our Lord and Saviour really is to each of us, especially in our time of need – when no one else may even realize we have a struggle brewing within. The five (5) areas focused upon for this Series are heavy hitters, ones where folks find themselves challenged by severe disruption in family structure, sudden/unexpected loss, major disappointment, amongst other things, which can weigh very heavily upon the human spirit. As Christians, we can be prone to worry, to sorrow and to despair – but we have the God of All Creation’s Medicine book, the Word of God, which can address each of those challenges and get us to our faces before a thrice Holy God Who is the One that can help. Is it us possibly that has something we need to be before the Throne Room of Heaven to seek assistance? Might it be possible that we are going through a difficulty, where others are watching and waiting to see how your “Jesus” stands up? Or, just maybe, we know someone for which we are at a loss for words at to what could be said… This Series was designed for that VERY sharing opportunity to have feet in which to be delivered! We as Christians SHOULD be sharing these helps from God’s Word so other might have the opportunity to lean on Him like we get to do! When have YOU known that it was Christ ALONE that made Him real? Where has the Saviour shown up, making Himself known unto YOU or others? How would YOU describe Him to another person who needs to know Him? A full range of Scripture has been utilized to give a small glimpse into how Encouragement can be drawn from the Word of God. He is personal, so we should be personal in the application of His Word in us. Having the Bible is having the guide book for a life of Relationship, which we can have a fruitful, daily walk where the above five (5) questions can be answered humbly, honestly and consistently. By doing so, we will have that True Love that The Father has for The Son, which is shown us-ward through Salvation – a gift more beautiful than we could every describe sufficiently. Through these prints and presenting Scripture, we should be able to put a few of these thirty-five (35) reminders into our every day lives. While these would not exhaust all the ways we could describe Him or attribute lauding upon Him, it is a fine place to start and put them into practice! Will you, along with me, commit to showing ourselves first, then others, what Jesus Is. to each of us in all the moments of our lives? We have thirty-five (35) ready made reminders to get to work on making that commitment. Where will you start? Fortunately, we have the Guide which has the answers and the Holy Spirit that helps us understand them as Christians. There is a key to unlock that understanding element of the Word of God, one must know the Author personally and want the Relationship that He brings. We do NOT have to understand everything that comes along in life, which is NOT to say we stop trying to understand, but rather that we have a mindset change – Trusting the Master. Trust is built upon relationship, the more we know the Person of God, the more we will Trust Him. Sure the nagging questions will come, but when they do – we’ll have answers for them and there will be a well worn path to walk them out in our lives. This Series presents a baker’s dozen (13) statements, which can be life declarations if we let them, for which there are SPECIFIC answers in God’s Word about how He says we need to take the “I” out of the telling and get our “eyes” on Him for the doing. Every step presents us with a decision, where when we have the Relationship with our Lord and Saviour, those decisions become sought after for specific applications – then we can truly see God work in our lives in a most POWERFUL manner. He wants us to do it His way, not just “that way”. Even in reading what we can do about those challenges that each of us is prone to think do not apply to us for some reason or another, our Heavenly Father, the Creator of ALL, will Faithfully pull us to His Word to answer our questions. We must see it “His” Way if we are going to do the Work of God and win others to His Son, Jesus Christ. In doing so, we need to address these statements ourselves, then prepare ourselves to help others find the answers in the Word of God with a powerful witness to them through our own lives as to the struggle and answers we have been so blessed to discover and have answered for us out of the Good Book. Listed in the following set of bullets, are thirteen (13) statements that others can make, so can we actually, where we can KNOW how to respond to as “it is written” for all to read that will do so. We do not have a corner on the Gospel message, nor do we on the many answers the Bible provides, all we have to have is “heart” knowledge to build upon. This list may well be a good place to start with someone who has doubts that God the Father will Save them because of how they think, feel, act or have been in the past. The item that makes this Series so real to me is that these statements can be questions that we can see plainly in others as well as they can be of our own lives. 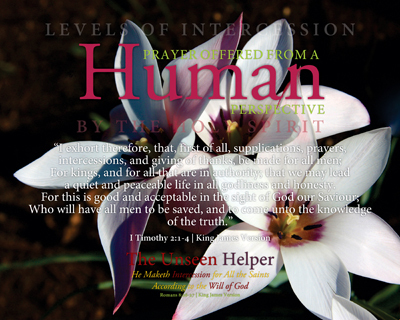 They are human responses, which provide a relation to reality in which we can relate and identify. It is SO wonderful that our Saviour is willing to relate to our own human frailty and places where we can find ourselves, it makes Him REAL – because He has seen it for Himself as one who walked among us those some 2,000 years ago. It is written, the answers supplied and He says that it doesn’t have to be that way. Will we look for those that have these evidenced in their lives and point them to the One who has answered them already so that they might Believe on Him? They are also reminders for those of us who already know Him personally, trusting Him for Salvation, that we have the answers in His Word. ALL That In One Verse? The verse gives us nine (9) thoughts about “The LORD Thy God”, which each of us can make application to our own lives. The excitement of this verse is promise, a blessing to know, a Word we can count on to be so, Encouraging, an assurance… A Promise given to each and every Christian to live out and the Hope of Salvation with all those that will hear and be changed. He is RIGHT here with us – in our midst – as the Holy Spirit who indwells inside the heart of every Born Again, Heaven Bound Believer. 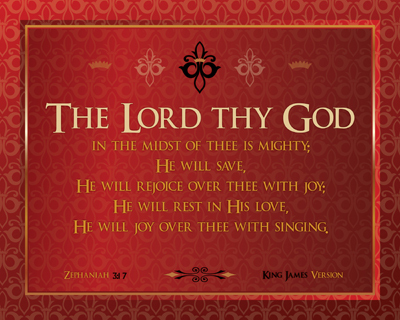 He is Mighty, capable of doing all things which are of His Perfect Nature and Will. More than one verse was found in researching this Series for each word and phrase, which would as well applied, but each of these have been chosen out of all the scanning through, supporting the purpose of this Series. It is exciting for me to have the dedicated hours spent on the DeliverTheWord.com Ministry make application in my own life first, and then have the ability to share it with those who would and could use it around the world. Probably the largest challenge faced today is the lack of “knowing the Bible”, which has been hijacked by the notion given us as “knowing of the Bible”. That one word changes the meaning completely by making it a prepositional phrase, removing the Bible and the Lord Authority, replacing it with merely “having the idea” of what something may be about and having no reverence whatsoever for the God of All Creation. If one will NOT see His Might, unfortunately they may as well miss His Hand their everyday lives. The Series verse of Scripture provides nine (9) support items for each of us to consider. With that consideration, each of the main words in the verse is defined. 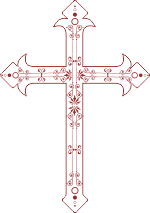 They lend themselves to being said like the following: “The LORD Thy God… In the Midst”, “The LORD Thy God… Is Mighty”, etc. Much of what we do as Christians is defined from where we learned something the initial time, the place where it was continued and what surrounded the situation where the learned item occurred. In the case of the verse of Scripture, many may not realize that God’s Word is FULL of them – the Word of God is a Living Testament of God’s GREAT Love for His Creation – those that were created in His Image. What verse of Scripture will the Lord use to show you His Goodness? Start with this one and learn to love His Word more each day! Each and every Bible study has a special meaning for me, as they would with anyone that would be in love with the Lovely Lord, but there are those times when it is not my toes that need stomped on, nor is it that I need to have my hands slapped… It is in those times when my heart is taken back, where God really goes to work on me. This is one of those Series which is a subset of a larger consideration of two words “end” and “begin”. At first it may seem that they are out of order, but is is assuredly not so in this case – there is a time which is coming to an end and a new time/direction which is beginning to become very clear to me. It is this consideration that I’ve had to “Consider the work of God”. Change is probably one of the most difficult things in anyone’s life to handle, working through such a time can evoke in even the most calm person an apprehension which is unsettling. Knowing that through the uncertainty will come an expected calm, growth and greater joy makes those times have a little less sting, but the process is still troubling to wade through. Solomon definitely speaks of dark days in Ecclesiastes chapter 7, which happens to be where the Holy Spirit directed me, not only for this Series but for a personal study to apply to my own self. For those that know me, they know that change is not particularly something that I’d sign up for and be thrilled it was happening – even less so if the change has to start with me. Sometimes though, Christians can hang on to things, until they have to be pried from their hands, so to speak, before they let go after a long unfruitful battle. We can “care” so much for the thing, place, people, situations that we completely forget to ask our Heavenly Father what He is doing in the process. We might even go so far as to ask, but be unwilling to listen or consider the answer which is given time and again, because we’ve made up our minds of how we want it to be handled instead of following the leading of the Holy Spirit’s direction in the matter. This Series is a reminder to me first that I cannot possibly see all of what my Lord is doing – because He is not just working in and through me, but also in and through others – there are plans and His Will for each person, every group and entity involved – which we are not privileged to know, see and be aware of being so. 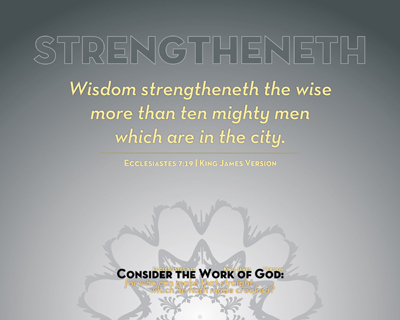 We sometimes are wanting to be the brute strength, as in verse 19, of ten mighty men, where what God really wants us to do is gain wisdom in the situation we are facing, not attack it with all we think we have in us. 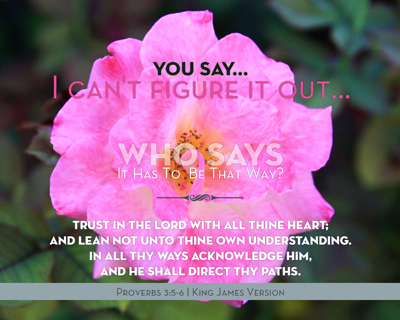 We do not have to figure it all out, God already KNOWS! This is one of those Series that has taken some time to get my mind, heart and arms wrapped around – which am VERY glad that the time was taken to complete them. This is another large number of items Series – but they result from the work has been absolutely worth the effort. There are a whopping 30 items in this set – which sounds like overload, but in reality it is not. The lesson needed from this Series is actually what “is not there” so to speak, it was in the absence that a long sought after answer was found. The Encouraging Sermon which this Series is based upon happens to have been delivered in a most special manner from a long time known fella who happens to do a decent job of preaching the Word… The focus was on the ultimate Helper, the Holy Spirit Who resides in every person who trusts Christ as their personal Saviour. UNSEEN | Who Is This Helper? As I’ve heard for majority of my life, the Holy Spirit is the third Person in the Trinity – God the Father, God the Son and God the Holy Spirit. The “comforter” as described in the Gospel of John 14, 15 and 16 was given us when the Son of God, Jesus Christ, ascended back to Heaven. He is the small, quiet voice we hear as Christians, Who helps us in SO many different ways – will not begin to list them, or we’d need a new Series… One of those ways is when we read God’s Word, the Bible – He is the translating Agent such that we will understand what that Living Word is telling us given the place, time and season we are living. Essentially speaking – He is required for each of us to understand the knowledge of the Bible, otherwise it might appear to be just a book with LOTS of stories. FOCUS | Where Are We To Look? The “catch phrase” for me, which did take a little digging to develop the more clear understanding of what it would come to being in meaning, is the word Perspective. A pretty simple definition of what is being referred to is: the way in which a subject or its parts are mentally viewed in contrast to others and the relationship they have to each other. Our perspective will change as we will allow the Holy Spirit to work in our everyday lives, notice God’s Perspective never changed – by His Word and Work, we are the ones changed more into the conformity of His Son’s Image. Just as presented in each of the images for the Series, there will be something obviously used and/or missing from each individual print. For me, it was the missing part that needed to be caught and examined – because the prints are developed as a shell first most of the time – then it dawned on me that it wasn’t because something was missing, but rather some of the time it never had anything there to begin with. This Series is about praying – the types of praying – and how the Holy Spirit works in the process of prayer, even when we have no real clue as to where to begin.